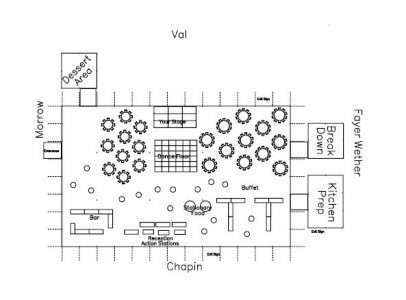 The above drawing is for a large event happening at a university. They are expecting about 400 attendees and want to create a laid back cocktail hour atmosphere! 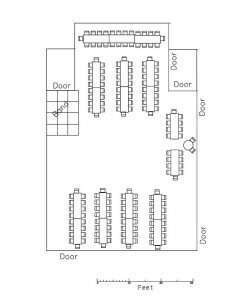 This CAD drawing is for an indoor wedding at a banquet hall. We plugged the dimensions of the room into our software and are able to figure out exactly how many tables and chairs we can fit into it! 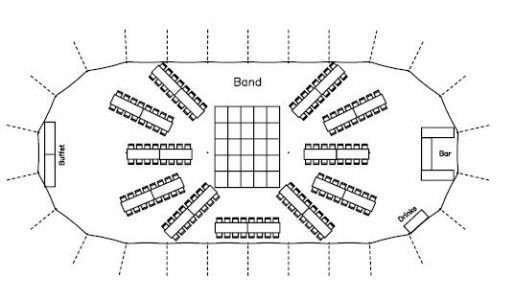 Not a fan of the traditional wedding reception layout? This couple sat down with us and created this unique layout!